Tajikistan: Is Islamic Banking the Future? The government has been tentative in its support of Islamic banking, but the general population appears to be more enthusiastic. Many of Tajikistan’s traditional banks are wobbling due to years of chronic mismanagement. Their troubles are creating a space for up-and-coming Islamic lenders to flourish. In 2014, the same year that the government adopted legislation regulating Islamic finance, Alif Capital opened its doors, becoming the first company in the country to offer banking services on strictly Islamic principles. Billboards sprung up around the capital, Dushanbe, advertising six-month, interest free loans for consumer purchases — quite a novelty at the time. In broad terms, Islamic banking is predicated on the notion that using money purely to make more money is sinful. Accordingly, speculation and interest are forbidden. That gives rise to multiple alternative products, such musharaka, where the lender enters a partnership with the client and thereby makes a profit out of the business rather than just earning interest. With mudarabah, the lending institution acts as a silent partner providing all the funds. The returns are typically split down the middle. Businesses that source credit in these ways are not permitted to invest in sectors deemed haram, such as the manufacture of alcoholic goods or gambling establishments. If the government has been tentative in its support of the emerging Islamic banking sector, there appears to be more enthusiasm among the general population. In her research on the prospects for Islamic micro-finance institutions in Tajikistan, Manijeh Sabi, a scholar at The Sage Colleges, found that while many people were not wholly certain what exact services and conditions Islamic lenders might offer, most are generally positive about the concept in the abstract. Some of the distinctions between traditional and Islamic banking are arguably technical. On the consumer loan front, banks like Alif Capital assist their customers by dealing directly with retailers and paying for items — be it household appliances or cars — in full and upfront. The customer then pays back the bank in installments. The bank earns its cut by receiving a commission from the retailer. Deposits are notionally considered an investment, not simply a fund that exists to earn interest for clients. Mehurbon Burhonov, an expert on Islamic financing, told Eurasianet that the fact that creditors typically do not handle cash directly substantially reduces risks. “If, for example, you want to take out a mortgage, payment is made in full directly to the owner of the apartment. Or if you want to get consumer credit, the bank will make the payment from one account to another. Even if you want to buy goods from Germany, the bank will transfer money to the seller in Germany, but you won’t get to have the money in your hands,” Burhonov said. Burhonov said Islamic banks tend to be scrupulous about assessing investment projects, since they stand to lose heavily in the event of failure. This is a huge consideration in Tajikistan, where lax lending practices — in effect the widespread practice extending credit to “friends” and “friends of friends” — has been at the core of the meltdown in the banking sector over the last few years. The fledging public backing for Islamic financing is not entirely without reservations, however. In the micro-finance surveys conducted by Sabi in Tajikistan, a robust majority of respondents were leery of requirements on splitting profits with lenders. Kurbonov, the head of Alif Capital, said his institution’s desire to conform to Islamic principles means that it has always financed transactions that had a verifiable link to actual assets. “Furthermore, in addition to making a list of things we wanted to do, we made a list of things we didn't want to do. For example, we didn't enter the foreign exchange market — buying and selling foreign currencies — because we believe this would shift our focus away from our target clients,” Kurbonov said. It is that business model, Kurbonov said, that has seen Alif Capital expand its asset portfolio from $100,000, in 2014, to the current level of around $2.5 million. What began as a bank run by three people now employs 90 and provides services to about 10,000 customers. While the scale might be modest, the rate of growth has piqued interest among domestic market peers. In October, Sohibkorbank announced it had entered talks with a branch of the Saudi-based Islamic Development Bank — the Islamic Corporation for the Development of the Private Sector — on exploring ways to convert fully to Islamic banking practices. “Sohibkorbank has every opportunity after its complete transformation to become a leader in Islamic financing in Tajikistan — [to become] a window for attracting investment into the economy and the banking sector from the Muslim world,” the bank said in a press release. Experts worry, however, that even though legislation allowing for this sector to exist, the rules are not clearly defined. 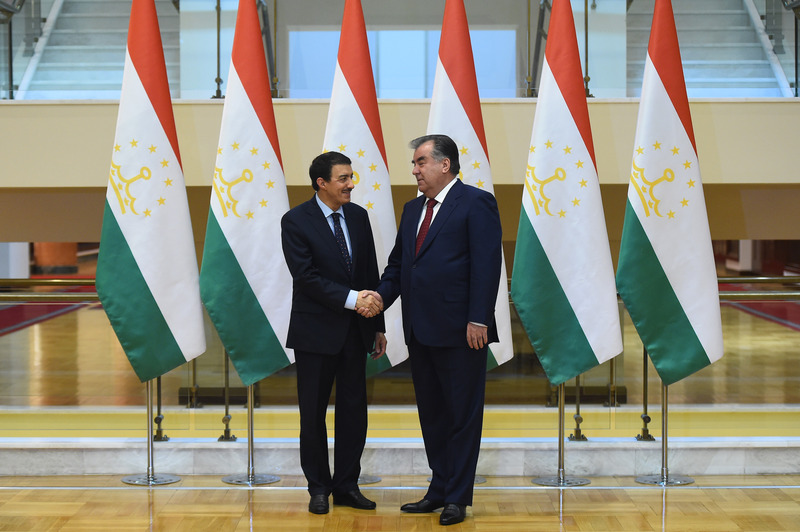 And there is a chronic shortage of personnel in Tajikistan with a suitable mastery of both finance and the intricacies of the Islamic legal canon. For those reasons, among others, plans by Bonki Rushdi Tojikiston — a daughter company of crisis-stricken Tojiksodirotbank — to turn to Islamic financing have stalled. That lender announced with some fanfare in November 2015 that it had contracted the services of the Islamic Development Bank to assist in its conversion to an Islamic bank, but little progress has been made since. Sorbon Rahmatov, head of the treasury department at Bonki Rushdi Tojikiston, told Eurasianet that the hitches were regrettable as Islamic financing could play an instrumental part in restoring public confidence in the lending sector as a whole. “Due to the fact that financing is carried out through forward sale contracts, or through mudarabah — and that through all this, debt obligations are not resold — this form of financing remains stable,” Rahmatov said. Not that even the most ardent advocates for Islamic banking see it as a panacea for all ills in Tajikistan’s financial sector. Kurbonov said the main reason some banks are in such trouble today is a pattern of inadequate corporate governance. "Islamic banking can provide a comprehensive framework for risk management and prudent banking. However, even before introducing new models, the financial sector can significantly improve by a stricter adherence to existing corporate governance practices," Kurbonov said.